A TEENAGE PAKISTANI rights activist was flown to Britain for specialist long-term care today after being shot in the head by the Taliban for campaigning for the right to education. Malala Yousafzai, 14, who was attacked on her school bus in the former Taliban stronghold of the Swat valley last Tuesday, was sent abroad at a time when her condition is “optimal and before any unforeseen complications set in”, the military said. A specialist air ambulance provided by the United Arab Emirates took off from Islamabad airport after daybreak, and Pakistan said an army intensive care specialist was accompanying her. The shooting has been denounced worldwide and by Pakistan, which has said it will do everything possible to ensure that Malala makes a recovery, paying for her treatment and offering more than $100,000 for the capture of her attackers. The cold-blooded murder attempt has sickened Pakistan, where Malala came to prominence with a blog for the BBC highlighting atrocities under the Taliban. On Sunday, around 10,000 people gathered in Karachi for a rally in support of Malala, organised by the Muttahida Qaumi Movement (MQM) political party. The United States has long called on Pakistan to wage an operation in the district, which is considered the leadership base of the Haqqani network, as well as a Taliban stronghold. Malala was first airlifted from Swat to a military hospital in the northwestern city of Peshawar, then to the country’s top military hospital in Rawalpindi, where doctors on Sunday took her off a ventilator for a “successful” short trial. The army said that a panel of Pakistani doctors and international experts agreed Malala needed “prolonged care to fully recover from the physical and psychological effects of trauma that she has received”. long-term rehabilitation, including intensive neuro-rehabilitation. Pakistan has not disclosed the name or location of the centre where Malala will be treated, but said it had the “capability to provide integrated care to children who have sustained severe injury”. Security worries meant Malala’s departure was not announced until the plane was airborne. Since militants had threatened to target her again, it was decided that the information about her departure for medical treatment would not be disclosed until her aircraft actually took off. The army said all expenses, including Malala’s air ambulance flight and treatment abroad would be covered by the government of Pakistan. Malala’s family was consulted and their wishes also taken into consideration, the army said, defending the care she had received so far. It also said the decision to transfer her to the specialised paediatric intensive care unit at the Armed Forces of Institute of Cardiology in Rawalpindi was “correct and timely”, where her condition had stabilised. 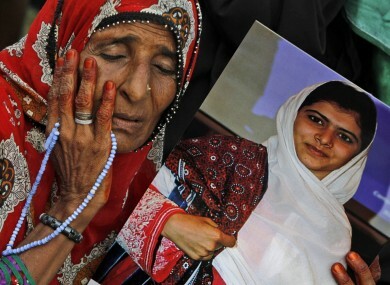 Email “Malala: Pakistani girl activist sent to Britain for treatment ”. Feedback on “Malala: Pakistani girl activist sent to Britain for treatment ”.